The Grammy-award winning music group: Morgan Heritage and East Africa’s “Rolls Royce Musician” and MTV EMA Winner Diamond Platinumz have made history once again with the release of “Africa Jamaica” — the lead single off their upcoming album set for release in 2019. 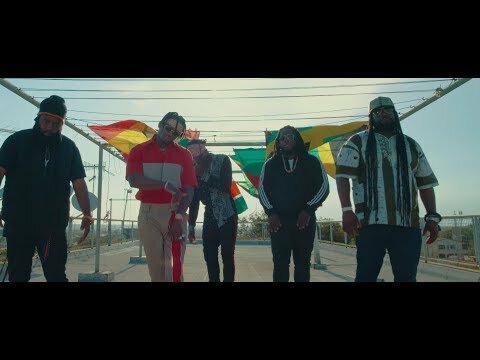 Morgan Heritage flew all the way to Ghana, West Africa to shoot the music video music video, directed by Jordan Hoechlin and Morgan Heritage, with Stonebwoy and Diamond Platnumz. On their way to Ghana Morgan Heritage also filmed some scenes in Cape Verde. Last time Morgan Heritage and Diamond collaborated it garnered more than 1 Million YouTube views in 24 hours.